These are a unique one-of-a-kind estate find pair -- a perfect gift for the martini afficianado. 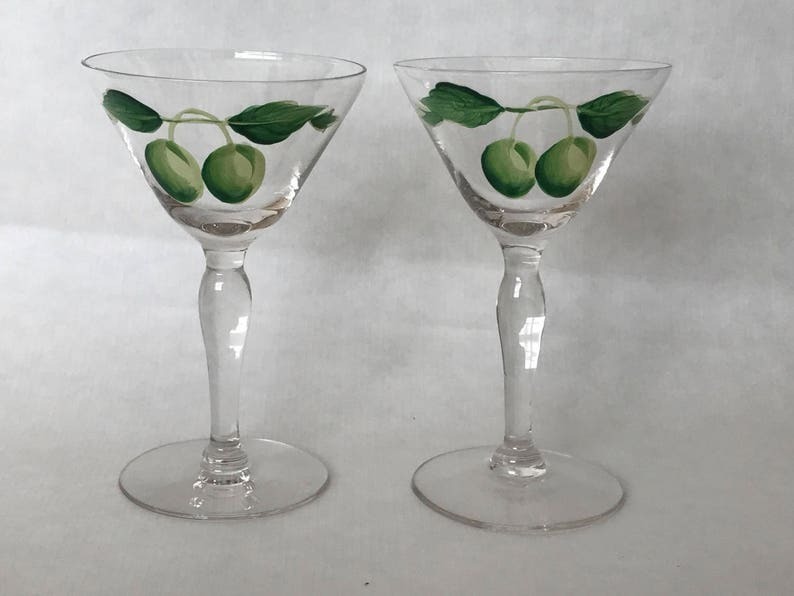 They are hand painted stems, with the olive images painted on the outside of the glass. They are small in size and volume (2 oz. capacity) of beverage accommodated -- best suited for a dainty beverage sipper. 5"h x 3"diameter at the top. In perfect condition with all paint very stable and in tact -- a thoughtful and artistic original gift for yourself or a friend.